All matches best of 3 until Top 4, which will be best of 5. Invite amongst yourselves, then record the results on challonge. It's the winner's responsibility to make sure challonge is updated accurately. Enter the end score, and click your name at the prompt. If there's any problem, let one of the @Tournament Organizers know in chat. Character switch not allowed after a win. Kanzuki Beach is banned, Flamenco Tavern is banned, and Skies of Honor is banned for onstream games (for the sake of the spectators). 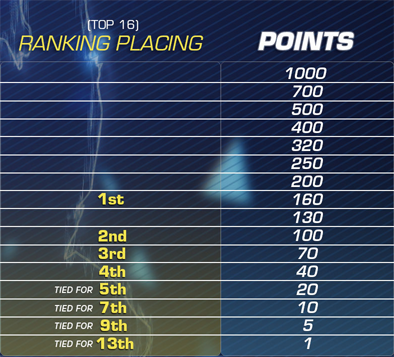 Up to top 8, tournament will progress one round at a time, with one match randomly chosen for the stream each round. Wait for the signal in the discord #tournaments channel before starting the next round. If you are a no show for your match by the time others in your round have finished, your opponent is given a bye. Once we reach top 8 (as indicated on the bracket), every individual match will be streamed in the order of their numbers on challonge, so wait for the invite after that point. Feel free to spend some time in the lab if it'll be a while til your next match. The purpose of these tournaments is for players to test what they've learned and find room for further improvement in an environment with like-minded players. We politely request that Underdog champions consider ranking up to Platinum and taking part in higher level tournaments (such as the r/sf Dumpster Fires). Since champions automatically qualify for the S3 Invitational, there's no benefit to winning multiple tournaments. It is extremely disrespectful to other participants, viewers, and TO's to sandbag, collude, randomselect, or intentionally throw matches. Participants who disrespect the tournament format in this manner are subject to immediate disqualification at the TO's discretion. Understand that you may not get the best possible connection if your match-up is East Coast vs. West Coast. While we would all like to play in minimal ping this is simply not possible. The best we can offer is a single remake of the lobby using training stage, or time for players to reset their connections. Additionally, players who have been determined to have consistently poor connections may be disqualified, depending on a case-by-case basis. We understand that playing in a high latency connection can be frustrating but please play to the best of your ability regardless. Participants are entrusted via the Honor Code with reporting their scores correctly. If you believe something was incorrectly scored please have screenshots and message a TO in Discord. Being disruptive or disrespectful to other players may result in a disqualification, mute, and/or strike towards a ban from the discord and future events.